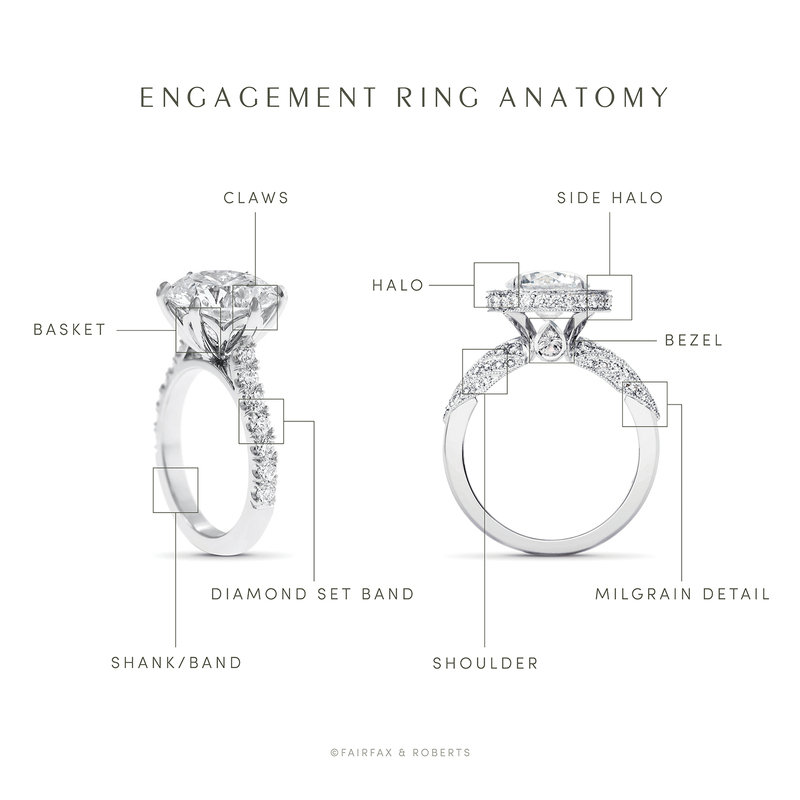 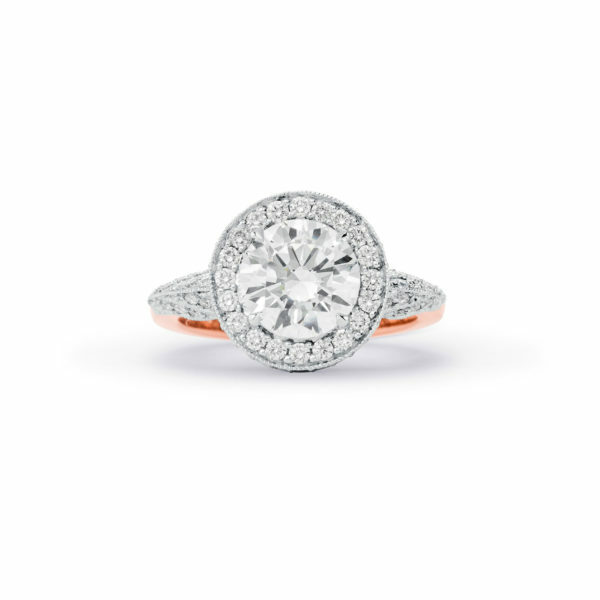 Discover our “Unconditionally Yours” round brilliant cut diamond halo engagement ring featuring a claw set round brilliant cut diamond centre stone, delicately encircled with a thread set diamond halo. 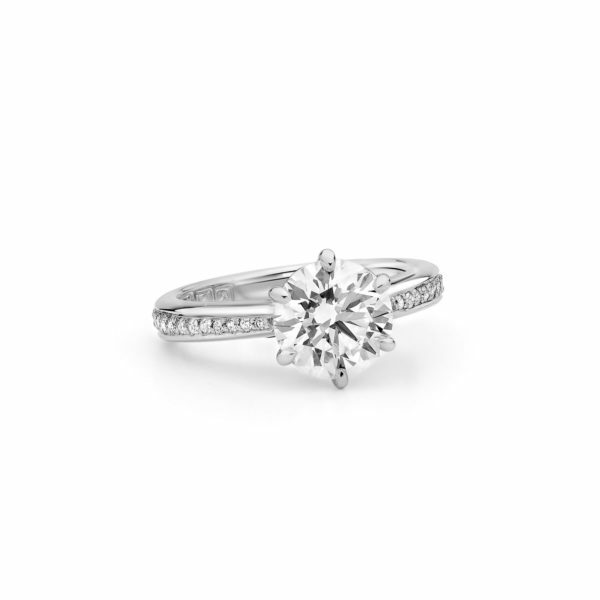 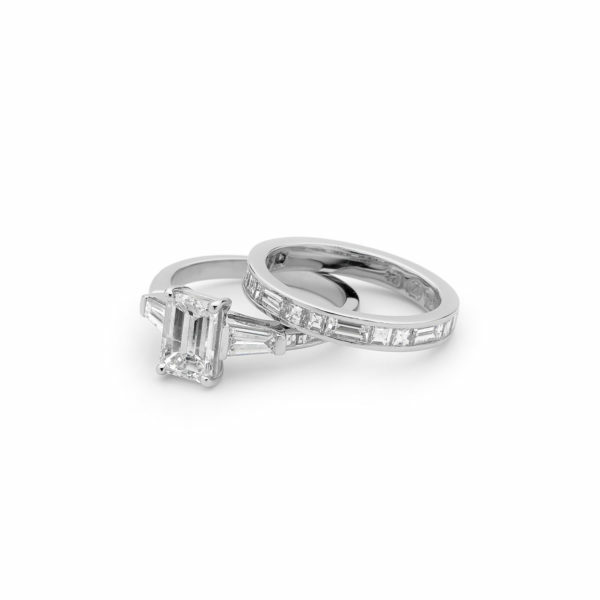 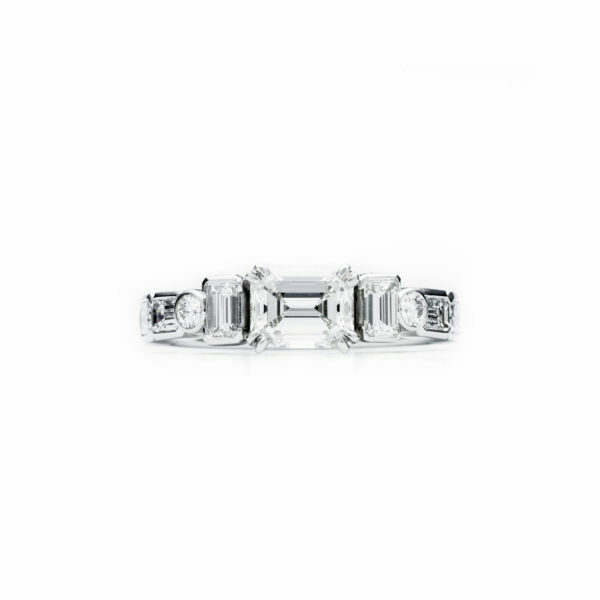 Elegantly mounted on a knife edge, pave set round brilliant cut diamond shoulders, with milgrain detailing. Graced by pear shaped, bezel set pink sapphires on either side, completing this striking ring. 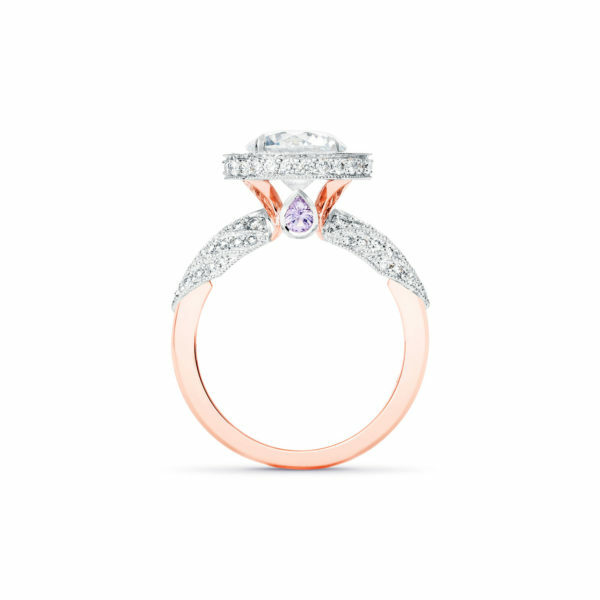 Available in platinum, 18K white, rose and yellow gold or any precious metal combination. 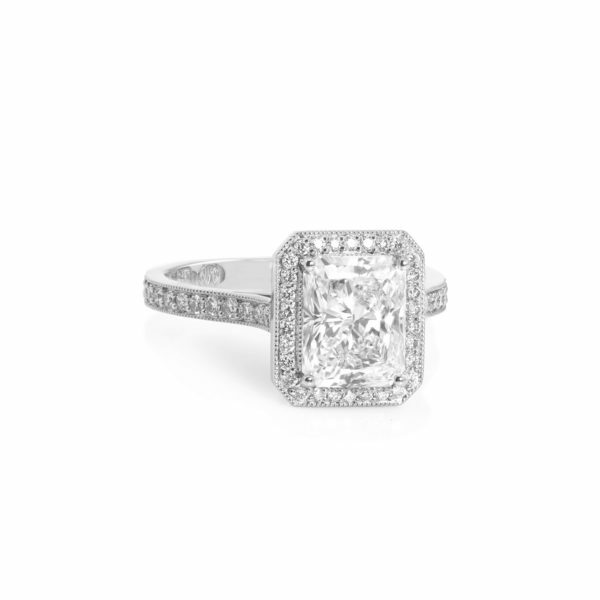 Pictured with a 2.00ct centre stone.